The first BBC’s use case trials of COGNITUS were successfully carried out during the Edinburgh Festivals 2017, to test the COGNITUS workflows, capture content during the live events, and use the material in new interesting ways. Some of the results are available below. The preparation for the trials lasted several months, during which the project partners worked on related technical, editorial and logistical tasks. The COGNITUS platform was installed on specific servers at the BBC R&D premises in London, including the advanced COGNITUS content enhancement and processing modules, as well as various monitoring tools. The Edinburgh trial focused on capturing of User Generated Content (UGC). The COGNITUS team handed out 18 mobile devices to volunteers tasked with capturing the energy and excitement of the event. Capturing happened using COGNITUS Android app, which allows content to be captured, tagged, and uploaded directly to the COGNITUS servers. The volunteers had a great time during some of the festival days, wondering around and capturing content with their mobile devices. More than 600 clips were captured, tagged and uploaded to COGNITUS be converted into semantically reach high quality, UHD, 50 fps, broadcast-standard video. To achieve that, captured UGC videos were processed using COGNITUS prototypes of spatial and temporal video processing, audio enhancement, semantic enrichment based on social media crawling, as well a number of quality assessment modules. Key technology enabling efficient distribution of COGNITUS high quality content, making use of the high efficiency HEVC Turing codec, has also been trialled. To investigate how new editorial proposition can benefit from availability of UGC content, BBC R&D producers prepared examples of finished programmes based on material from COGNITUS trial. In one of the trialled approaches volunteers were precisely briefed on what to capture and how to capture it. In this way the editorial direction comes from a producer role with knowledge of the event, as can be seen in the example below. It has also been shown that interesting programmes which demonstrate dynamics of an open event can be achieved when volunteers are given less guidance on what to capture. However, the overall editing process and the final outcome benefit from giving some instructions to volunteers on what to avoid and how to ensure content is of good quality (no portrait videos allowed!). An example of the programme produced from such UGC contributions is shown below. Giving the users a possibility to offer their content to producers opens space for creativity. Moreover, working closely with producers introduces structured approach in challenges that can lead to various novel editorial propositions. An overview of the whole flavours of UGC contributions is given in the following video. As the first of its kind within the project, there were significant learnings gained from these trials, both from technical perspective, but also thanks to the valuable feedback of the volunteers that helped with the capturing, as well as the participants that helped to solve the logistical challenges arising during the trials in the field. 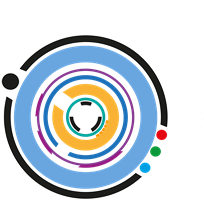 The COGNITUS project partners are now in the process of making use of the incredible amount of data obtained as a result of these trials. If you are interested in hearing more about these trials or the COGNITUS project, do not hesitate to contact us. You can also find the COGNITUS team at the IBC 2017 convention in Amsterdam. Similarly, the delivery of content envisaged by COGNITUS makes use of novel technology based on adaptive streaming. The DASH standard is utilised at this purpose, to serve content at different resolution: the player embedded in the browser will automatically select thr optimal resolution to display, based on local characteristics such as bandwidth and network conditions. Again, not all browsers are at the moment capable of supporting playback of DASH streams. If you have a supported browser, you should be able to see content in DASH in the player below. The content is being streamed directly from the COGNITUS video server. Two streams were generated, one containing only streams encoded with legacy AVC encoders, and the other also containing high quality HEVC streams. The following EXPERIMENTAL player shows only legacy AVC streams. Playback experience may vary depending on the device being used. The following EXPERIMENTAL player shows a full DASH streamer including high quality HEVC streams. Playback experience may vary depending on the device being used. COGNITUS team would appreciate feedback on any of the aspects of this trial, including feedback on this experimental playback. You can add a comment below, or email us.